At Javelina, we do things differently. We just recently posted a new position we’re hiring for in our team. The position didn’t have a job title, salary or resume requirements, and received incredible responses from quality candidates. Why? Because we never do things a certain way simply because that’s the way it’s always been done. And, above all, we are audience experts. We knew who we were looking for and who we were talking to. We took what could have been a typically dry job listing and turned it into a story. We shape stories that matter to the people listening, not just to the people talking. This philosophy is anchored in how we understand personal stories and how to share it with others. It’s the art of storytelling, which most people don’t find easy. It’s not. The majority clam up by thinking: “I barely know how to tell someone what I ate yesterday much less how to tell a good story!” Hey. Don’t fret. There’s hope. Ready? No one is born a great storyteller. Sure, some are better than others at storytelling. But, it’s not because they are more awesome than you are, or even because their life is filled with great material. It’s because they have practiced. Storytelling is a learned skill. Last Saturday, I attended a leadership program day (for the amazing SheLEADS program) and it featured the one and only Megan Finnerty. 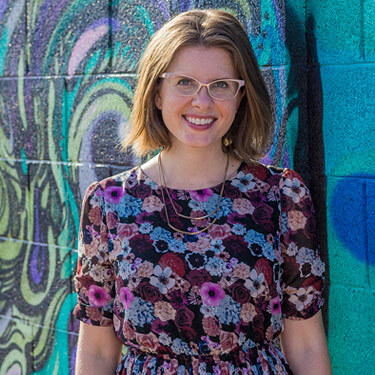 Megan is founder of the Storytellers Project, a national series of live storytelling nights in 12 cities curated by journalists from the USA TODAY Network/Gannett. She taught a coaching session on how to tell a great personal story and it was fascinating. It’s true – real people tell real stories after journalists have coached them. To understand why this training session was awesome, you have to experience Megan. She is someone that comes across as a badass. Megan, however, would describe herself as “an acquired taste.” Really, that’s just a way of saying she knows her story, is proud of it, and understands how to communicate it well. Maybe it’s not the kind of story style you like, but make no mistake. She has her story DOWN (mad respect). And she wants to teach you how you can do the same thing. In the art of storytelling, Megan comes across as a vibrant, engaged, naturally born storyteller. She would be the first one to tell you this is a straight up lie. She has worked hard for many years to sharpen her story skills, win over audiences and editors, fail, succeed, and try again. Her secret? Thinking about her audience. By knowing how to craft a narrative that is compelling and meaningful to her listeners, while still managing to highlight her strengths, she can own a crowd. That is part of her power. 1. Before you engage, consider your audience. Who are you talking to? Why should they give a crap about what you have to say? Granted, this could be quick decision making when you are in the moment. But if you have time to craft your thoughts and are addressing a group in a week, your story will go further. You can even get specific in considering your audience by creating an outline – what age are the folks in the crowd? Where are they from? What is important to them? Knowing this information will really hone your story and increase the chances for your story to resonate. 2. Then, consider three items you want to communicate. Make it simple. A good outline is A) who you are, B) what you do and C) why you do it. Make it powerful and interesting. This is basic cocktail party lingo, but it’s also excellent for any group setting, large or small. Now, here’s the kicker. Try to communicate this outline in 60 seconds. Not as easy, right? That’s because it takes practice. But thankfully, practice makes perfect. There are plenty of awesome resources that can help you develop this storytelling skill. I would recommend writing down your story first and practicing it with a friend. 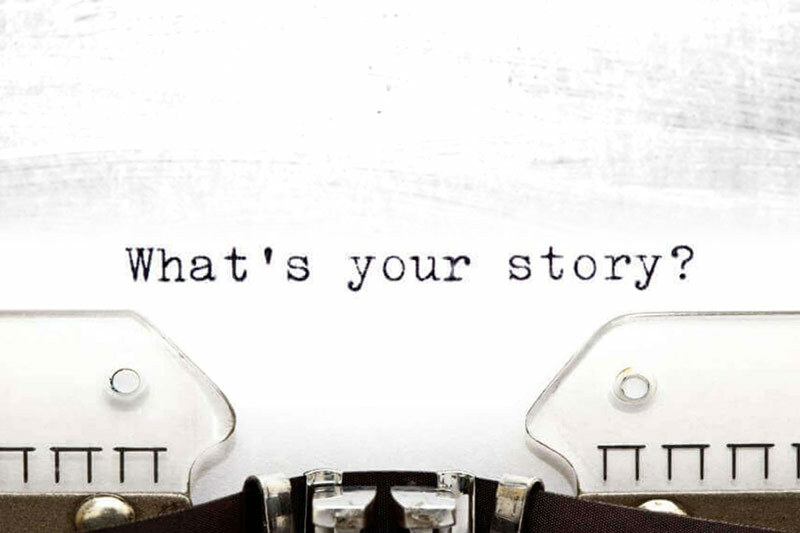 Huffington Post has a great “Storytelling 101” guide that can get you started. 3. Lastly, here’s the best advice: believe in your words. Even with the most practiced, polished, engaging conversation topic, if you don’t believe your story, no one else will either. Authenticity goes far. Don’t believe me? Stop by one of Megan’s storytelling series in Phoenix and see stories come to life. Raw, vulnerable, powerful stories from the average person who knows their audience and how to communicate why they are awesome. Go to the next storytellers show, then thank me later. Nicole is one of the creative minds at Javelina. Nicole focuses on providing cutting-edge communication strategies, new media approaches, and community change. When she's not changing the world, she enjoys spending time with her dog, biking around downtown, or enjoying a slice of pie. Read more posts by Nicole.